Is The Brother HC1850 Computerized Sewing and Quilting Machine Too Complicated For New Users? The Brother HC1850 Computerized Sewing and Quilting Machine is clearly a machine for those that want to take their sewing projects to the next level. As this is a machine for both disciplines, there are some nice extra details in the shape of the machine and the bonus accessories. The Brother HC1850 has an extra wide table to accommodate quilts, a range of presser feet and 130 stitches onboard. The accessory pouch is bursting with pieces like the needle sets, bobbins, seam ripper, eyelet punch, cleaning brush and other tools. This is sold as a “feature-packed” product, and the specification backs this up, but does this mean that it is too complicated for the average user? What benefits have buyers appreciated about this Brother HC1850 Computerized Machine? The first thing to consider with this product is the ease of use offered to new users. There are aspects of the process described as “one step”, and there is the promise of easy threading. In addition to this, the product comes with a flip chart of the different stitches to help new users learn the basics and an instructional DVD. Many users are happy with the guidance offered and don’t feel out of their depth. They say that there is a nice balance here between the high-tech elements and range of functions and a user-friendly process. 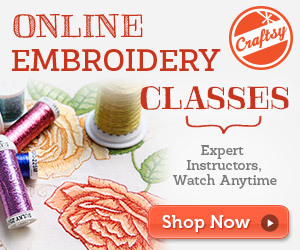 Even so, there it no doubt that this is a comprehensive option for those that want to learn a little more about the art of sewing and try some new creative projects. It is important to remember that this is a sewing and quilting machine, not just a sewing machine, so there has to be all of the additional element s required for lots of different projects. This means the ability to work on monogramming, buttonholes and other specialised stitches. There is also the option free-motion quilter for those that are a little more confident. This provides room for new buyers to grow and develop their work. It is a starter model for some, but not one that they will outgrow all that easily. There are also some interesting elements to the hardware of this Brother sewing and quilting machine that make it even more appealing to newcomers that really want to progress with their work. In addition to that aforementioned wider table, this simple machine has a nice LCD backlit display, a slide on the front to adjust the sewing speed which is ideal for those working on more intricate areas. On top of this, there is an LED light over the work area. This adds much needed illumination on detailed areas and darker fabrics. Finally, there is the lightweight that makes it more portable than some may have expected. Overall, most are happy with the build quality of this product and the functionality of these elements. What downsides have been mentioned by new users of this Brother HC1850 Computerized Sewing and Quilting Machine that limit its appeal? Continuing with this idea of a starter model, there are some buyers that criticise the machine a little for some omissions in the features and functions. For some, it is a case where the machine could have been a little more helpful for a first time users, such as the lack of the automatic needle threader. For others, the Brother HC1850 could have gone a little further in some areas, such as the restrictions on the reverse stitching function. There are some experienced users that do feel a little held back with this Brother quilting machine and wish they had gone for something else. One of the biggest problems here is the speed. While the three different speed settings are a nice touch, some feel that the fastest is not as fast as they would normally go and the slowest is frustrating. Summary: how do these critical reviews affect the final verdict on this Brother Sewing and Quilting Machine? The most important thing to take away from the user feedback for this quilting sewing machine is that while there are some areas where it falls behind – such as speed and diversity of functions – there is the clear sense that this was built for the novice sewer looking to improve. This is still a well-made, functional machine with some nice details and accessories for a range of new projects, but it goes at a better pace for beginners and provides enough instruction with a minimal learning curve. Those at the right stage in their needlework journey will love the Brother sewing machine and make great use of its features for a long time to come. Find more reviews about the Brother HC1850 Computerized Sewing and Quilting Machine on Amazon here.